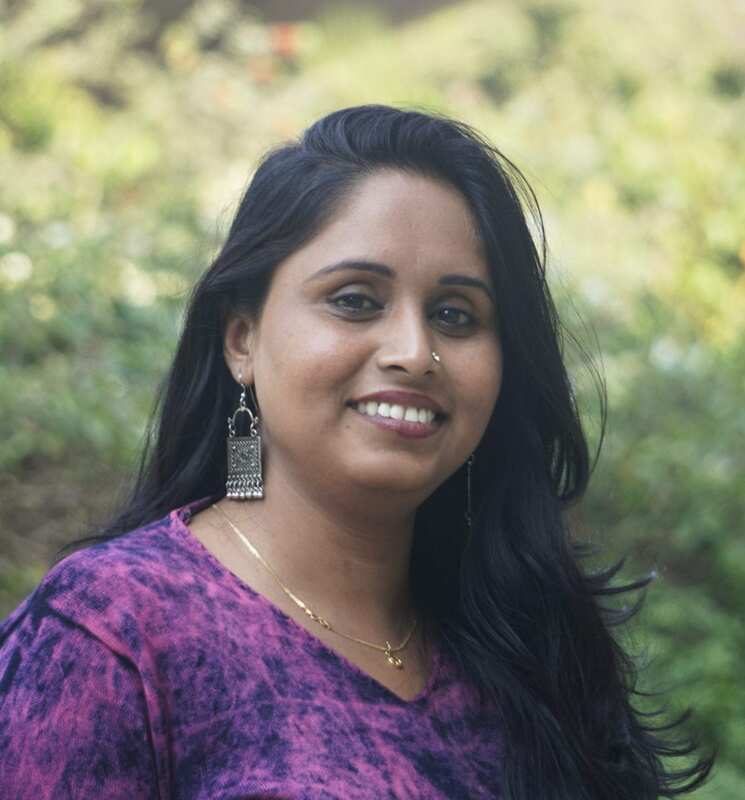 Meet Nasreen Ansari, a Rise Up Fellow from our newest cohort in Maharashtra, India. 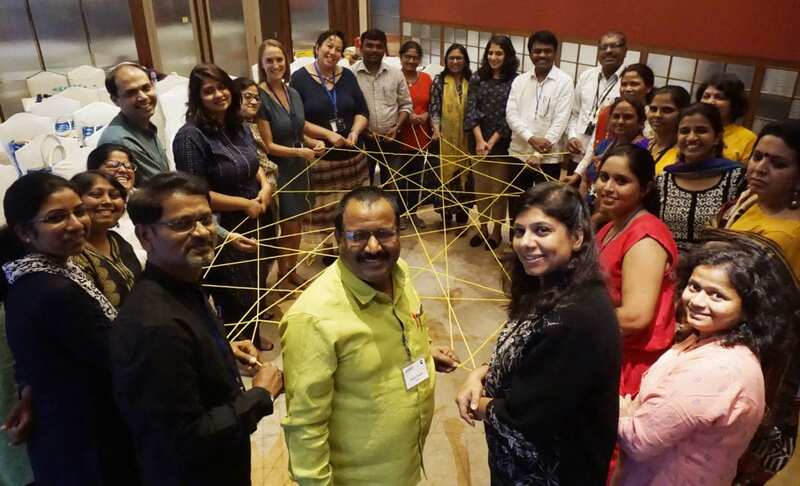 Nasreen recently received the prestigious C. Subramaniam Community Leadership Award for her work to improve the education, public health, and sanitation of slum dwellers of Nagpur city. As a Rise Up Fellow and graduate of our Advocacy and Leadership Accelerator, Nasreen is accessing new resources and opportunities to help push her work for girls’ education in her community – and across her state – to the next level. She sat down with us to discuss her advocacy and empowerment work, including her own inspirations and advice for fellow leaders working for social change. Read on to hear her powerful story of overcoming social and economic barriers to become a strong voice for girls’ and women’s empowerment in Maharashtra. In your work on girls education and health, what do you find motivates you most? The bottom line is, this all motivates me to continue to stand up and do the work that I do. I know what it’s like to have people talk behind my back due to the fact that I drive, wear makeup, and dress up. I am basically leading two lives. I dress differently when I’m in the community than when I’m at school. I understand this and want to help other Muslim girls in my community overcome these challenges and get an education too. I followed the same path in life as any Muslim girl does and was married young, but despite this I have my own identity. I work at an NGO with a good salary and because of me, some girls will get educated. I’m proud that I could distance myself from those women from my community who looked down upon me, and in time become an inspiration for them. There are 70-80 staff at my NGO and, as the only Muslim, I am proud to present my work like others, knowing I am no less than anyone else. I am also proud that I do something for my community, and for girls and women. My son is proud of me and tells his friends about me and what I do. I am proud that he understands me. My biggest achievement is teaching girls about sexual reproductive health so they understand their rights and their bodies. I can have an impact on their life this way, I can really do something for them. My first job, after a lot of convincing my family that I could work outside of the home, was doing home visits with pregnant women and talking to them about their neonatal care. My supervisors saw strong qualities in me and my work and gave me the opportunity to do more. Again, I had to convince my family this was a good opportunity for me, to work both in an office and in the field, which my husband was not yet ready to accept. It was an emotional time, with my mother on my side trying to convince the rest of my family. We came to a compromise — I explained I would bring in money for the family, I would stay true to my husband, it would be good for me, and I agreed to their conditions about where I would go on the job. You see, like many women in my community, I got married young and who I married isn’t educated. I felt I was a bird in a cage who couldn’t fly. I felt suffocated. I was locked in 4 walls and I couldn’t even speak to my neighbors. I didn’t want this life. When I received the opportunity to work with an NGO, I thought about it and decided, I must take it. I must have my own identity and do good work for myself and for other girls and women. 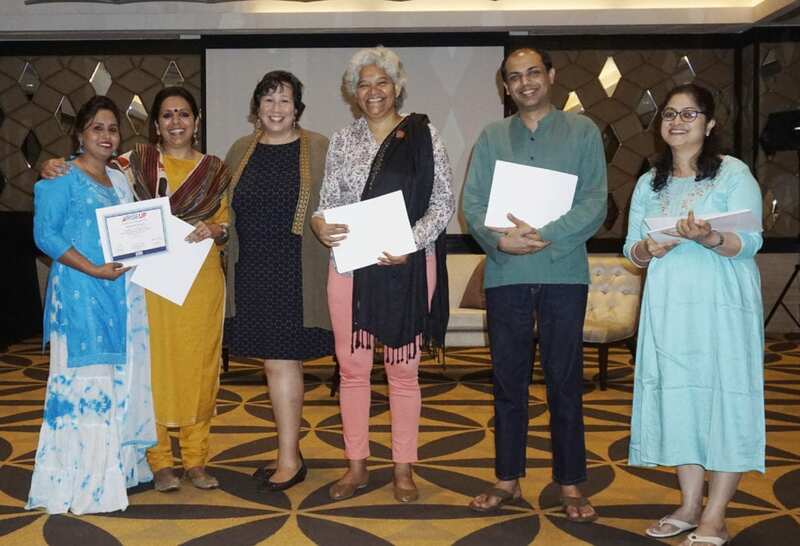 Nasreen (far left) with the Rise Up resource team receiving her certificate of graduation from the Rise Up Leadership and Advocacy Accelerator in India. What are the biggest challenges for women and girls that you see in the communities you work in? In the Muslim community that I work in, women and girls don’t speak frankly about the topics I am working on, so when I talk to them about sexual health and menstrual cycles, for example, they don’t express what is on their mind or talk openly about such things. They get shy and cover themselves. I’ve learned that before giving girls and women information, I give them paper to write what they feel on a particular issue. In this community we have to convince girls to speak up. Another challenge is that people are just not aware of why they should study — even boys are not studying. They feel, what is the point of getting an education? Especially in the current political situation where Muslims are being labeled as terrorists, boys think, how will we get jobs? So, what is the point of studying? Also, they think if we educate a girl, she’ll become too smart and then she won’t get any marriage proposals, or be of any use at home. They feel that a girl who gets married at an early age will get a good proposal, otherwise they don’t get good proposals at a later age. They don’t like the fact that girls are going out. Girls typically have restricted mobility, they aren’t even allowed to go purchase things at a shop by themselves. They are totally dependent on partners and siblings. These are all huge challenges, both in my work, and in my life. But they keep me active and even more inspired to advance health and education for women and girls where I live. What changes have you experienced as a leader who has gone through Rise Up’s programming? When I came to the training, I was working in the community as a grassroots leader, implementing projects, coordinating programs, conducting meetings etc., but I hadn’t developed a project strategy before. Through this training with Rise Up I have discovered that I can step up, that I have new and important ideas, and that I can develop new projects. I now believe I can help my NGO do more, which I know will help me move up within my organization and in my career. I feel I can do so much, I am a leader and have the qualities to make change. I’ve improved my leadership skills and ability to understand and do advocacy work so I can actually develop and lead a project. That will be a huge achievement for me. Before joining Rise Up, I knew I wanted to empower women and girls in the Muslim community and continue to work on girls’ education specifically. Through the training, I have strengthened my work and increased my knowledge, especially with respect to the technical aspect of advocacy, and I will take this back with me to my organization. Nasreen (lower right) participating in the closing activities of the Rise Up Leadership and Advocacy Accelerator. What is your advice for anyone wanting to make a lasting impact in their community or country? You have to take along with you the people whose issues you are addressing. Some people work alone and want to take all the credit, but that doesn’t work. You must take a step back and put the people you’re working for in the front and make them speak up. You should prepare them to demand their rights and empower them to use their voice, not your voice. It’s not about me, it’s about them being empowered. It’s how you can get things done, it’s the people themselves who can make change. I use this technique, I give the girls the responsibility to speak out, and in my project with Rise Up, I will give the girls the responsibility to speak with legislators and policymakers. You need to make them self-reliant. They should feel it is their issue. I formed groups in my community of women who speak up. I try to prepare them as leaders. I motivate them to speak. My advice is, you need to speak up, you have hidden talents. Once you start speaking you’ll find strength and others will benefit and they will join you. Speak up and create your own identity. What future goals are you passionate about? I want more women to live with freedom in my community, more girls to get educated. I am passionate about continuing to work for my community so that everyone can live with freedom. I have made it here with a lot of struggles. One time I left the house even though they said no. I was scared, but afterward everything was fine and my husband didn’t say anything about it again. So I felt empowered. Now he’s accepting that I have power. I have explained to him that this is my work and you can’t stop me, he realizes now he can’t stop me. He sees that I bring in money. He had no choice but to accept it. I think when you stand up for yourself others get intimidated and take you seriously. The people in my community say that I have transformed my husband, he cooks when I go out. It is difficult to transform yourself and even more difficult to transform your family. I have to tell you, I have a very loud laugh, which is not accepted in my community and I find it very insulting when they tell me to stop. Our customs say go inside and be quiet — I challenge that and it feels so good. I’m happy for who I am today, and my future goals include making other girls and women happy for who they truly are. This interview has been edited and translated from Nasreen’s native Marathi.